Kitesurfing in Winter? Why Not? Did you know that in Québec it’s possible to kitesurf year round? You can kitesurf on our lakes in summer, on our green spaces in spring and fall, and on our snowy fields and frozen lakes in winter. It's the perfect sport for Québec! But how does kitesurfing work in winter?We talked about that with Catherine Dufour, our favorite kitesurfer!! Allow us to introduce snowkiting, the winter version of kitesurfing! Like its summertime equivalent, snowkiting uses traction generated by a power kite. But in this case, surfers glide on skis or a snowboard (the same type of equipment as used on ski slopes). As the sport involves wind, a force of nature that cannot be controlled, both kitesurfing and snowkiting require constant adjustment. So before starting out it's important to get an introduction to the sport or learn more about how to control the kite by taking a class. Many excellent schools in Québec, such as Suroît Aventures on Isle-aux-Coudres in the Charlevoix region, offer exciting, safe classes. And as snow is plentiful in Charlevoix this year, snowkiting conditions are perfect! 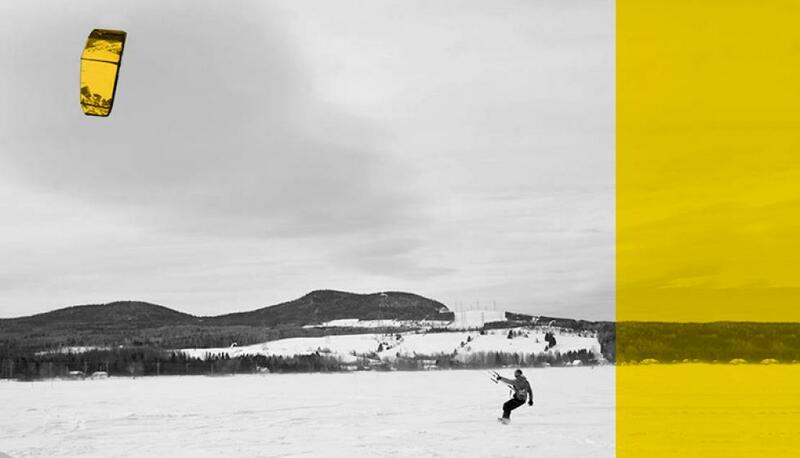 With its wide open spaces and lakes, Québec is the ideal place to snowkite. To find out which snow-covered sites you can use, check with landowners, local snowkiting companies, or snowkite enthusiasts in the area. 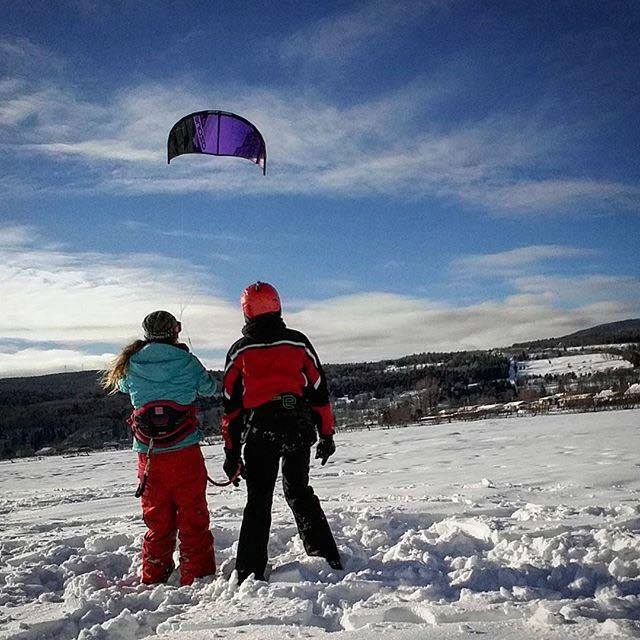 This winter, head to the Montréal and Québec City areas, Saguenay, Mistassini Lake, the Baskatong Reservoir, and Charlevoix to experience snowkiting. Each winter, many different snowkiting events and gatherings are held, including the Snowkite Quebec Cup, a snowkite racing competition that typically takes place in four stages. Each stage involves two days of racing in different locations. Perfect for discovering new snowkiting destinations, the event is extremely popular among participants and spectators alike. Head to the Facebook page of the 2017 competition to see what's in store!